This is one of my favourite postcards. 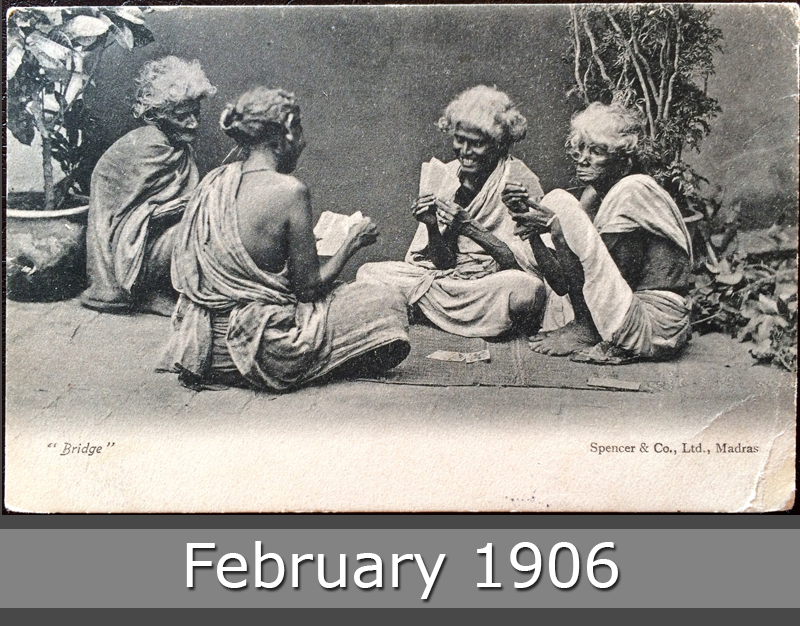 4 (old) indian ladies are playing bridge and have fun. 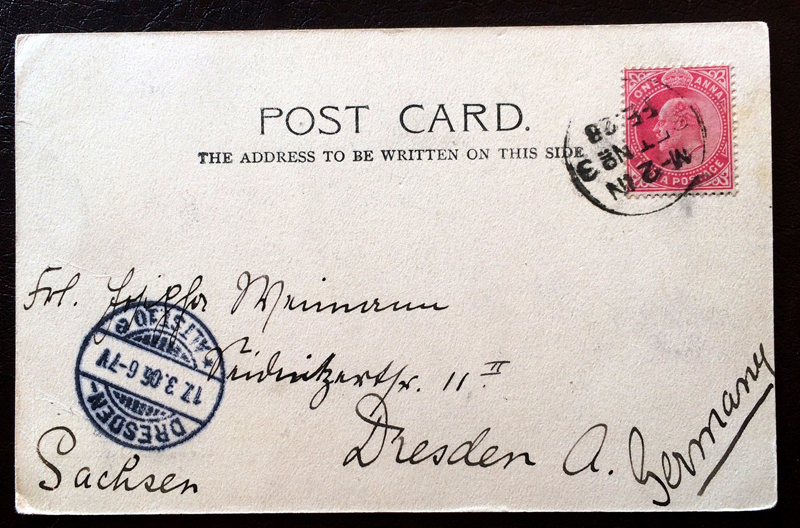 This postcards comes from Madras in India and goes to Dresden, Germany.